Dad decided it would be best to add plywood on top of the framework, so we did that today. He cut it to size and I fastened the two sheets to the beams with screws. 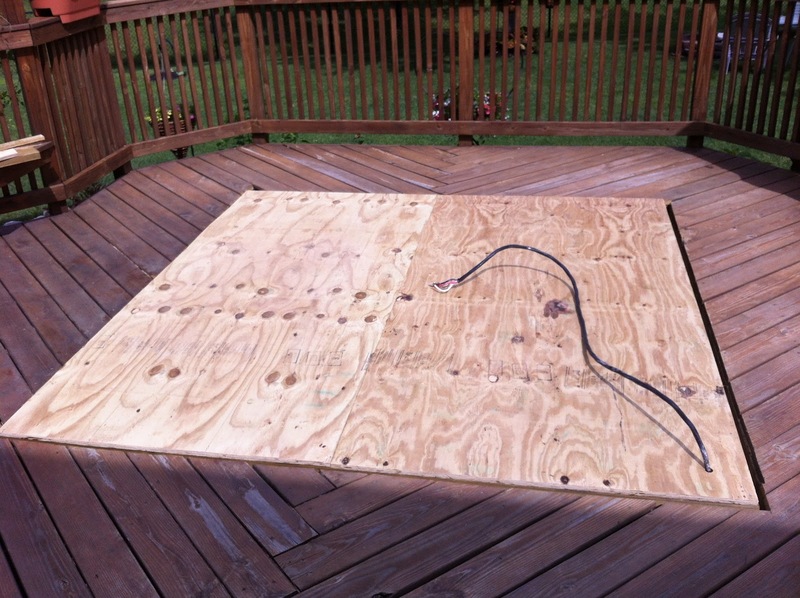 Then, just in case any water gets trapped on the surface of the plywood, I drilled some holes in it--22 to be exact.